Quick overview An indispensable compendium packed with information on everything you need to know. An indispensable compendium of technical know-how and troubleshooting tips. 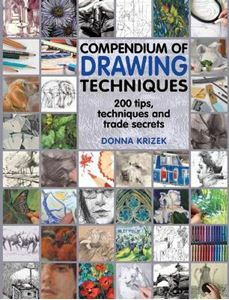 Just like having a drawing tutor on call 24 hours a day - this book is packed with information on everything you need to know to get started and then get good at drawing and sketching. Explore the versatility of drawing both as an art in itself and as a foundation for building other media. Over 200 tips and step-by-step techniques are organised in the order you would need to use them, with quick fixes and solutions for common problems. This book covers all kinds of pencils, pens, and techniques, different drawing surfaces, line work, shading and textural effects, and how to build your observation and composition skills - whether you are working from life or drawing from your memory and imagination.